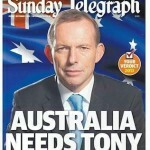 If you listened to Prime Minister Tony Abbott and his inner sanctum, Australia is facing yet another war. Not with the people smugglers (again, still), or Indonesia (from fallout of the PM’s handling of spying allegations, people smuggling, general relations…) but with the national broadcaster, the ABC. 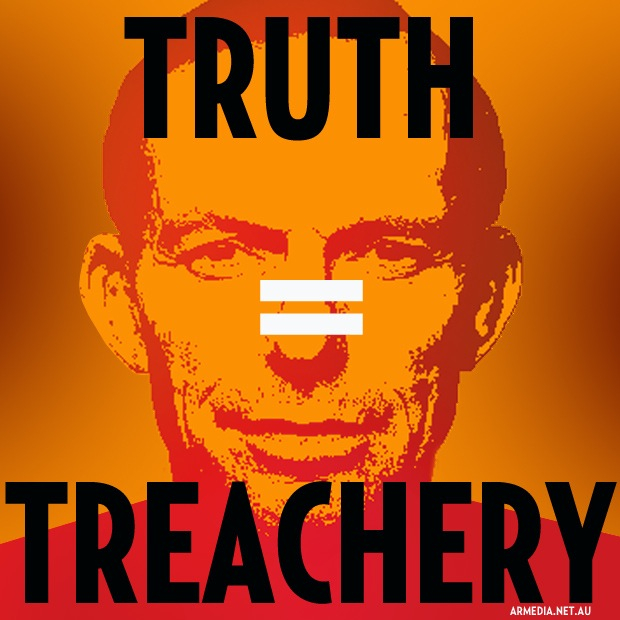 This week, Mr Abbott accused the ABC of taking “everyone’s side but Australia’s“, wishing it would have some “basic affection for the home team”, after the ABC last week reported allegations of navy personnel torturing asylum seekers who were recently towed back to Indonesia. 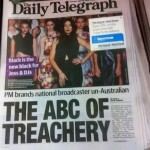 Rupert Murdoch’s The Daily Telegraph—not one for hiding its political allegiances*—backed up the PM’s rant, calling the actions from the national broadcaster as “un-Australian“, labelling the organisation “The ABC of Treachery” on its front page. 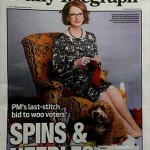 You could suggest the noise is another government sleight of hand to direct our attention from other matters, such as the secrecy behind the stop the boats campaign and other wobbles, or the prelude to cuts to the broadcaster’s funding. 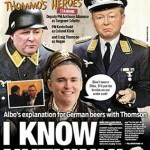 Funny thing is, though, it wasn’t just the ABC that reported on events. In fact, Seven News and Fairfax Media also carried the news of the torture claims from asylum seekers, gathered by their own reporters. 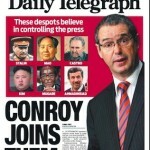 Yet Mr Abbott has failed to publicly attack either outlet. While some likely members in his camp stand firmly behind his ranting, others (namely Malcolm Turnbull and member for Reid’s Craig Laundy) stand by the ABC. Perhaps, as writer John Birmingham suggests, Mr Abbott should just call the “waaaaambulance” and be done with it, and leave the journalism to the journalists—remember, Mr Abbott, you used to be one. 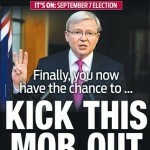 * Here are a few of Murdoch’s other examples show support for his “home team”. Annual reports shouldn't be boring! So, let’s see if we can fit this into some kind of larger ctonext:I believe there’s global competition in financial products and services, which is the ctonext for the recent changes in the current taxation system in Australia (and the rest of the OECD). There was an interesting article in the Frankfurter Allgemeine a few weeks ago now, in which German corporate taxation (since the 90s) was explained as reacting (following) changes to US corporate taxation law ( Blame Clinton and Greenspan! ). OK. this has to do with corporate investment, but it seems fairly clear to me, that the current unsustainable trend of reducing the taxation of the richest members of the nation also belong in this ctonext otherwise it’s off to the Cayman’s etc. Trickle -down economics is simply no-longer a credible theory this is blatant global competition for high-net-worth-individual’s wealth! And this is really for the benefit of large financial services companies.Unfortunately, compulsory social services services which supply a base level of human dignity, such as disability support do not profit from such competition. They need to be funded from national taxation systems. (If only we could use the internet to provide health care ) But increasing taxation rates harms the economy let’s be honest there’s no profit to be made running welfare organistions, and if a company is making a handy profit doing so, you can be sure that it’s at the cost of their patients.So, this is an indirect result of the success of the financial sector of the economy, that it seems like protecting this sector (employment, profits, etc.) through anti-social legislation is logical. In fact, it is almost certainly worth it economically but is it socially sustainable? What does it even mean to be wealthy? Satisfaction and well-being are clearly linked to the amount of equality in a society and the policies that Abbot’s party support are clearly only going to increase the inequality in the nation.The privatisation of national utilities and services, brought theses services into the reach of international finance, what have we got to show for that change? And don’t think that Australia’s current relative economic well-being is based on anything else than it’s selling of national resources to China, because an international comparison indicates that privatisation has had little economic benefit and certainly even less social benefit.This seems to be the pinch that national governments the OECD-world over find themselves in today. And the terrible thing is that the voting public don’t want to admit that this is the case. The financial crisis, it seems, wasn’t really a crisis.